HERE‘s a gallery shot by Access Winnipeg. UPDATE: SEVEN RUDE ARTFORMS (B-Boy Stylewize + B-Boy Seven representing Dangerous Goods Collective) are the winners of BREAKIN’ TO FALL! There are five galleries on Jay Boogie’s Facebook page, so go & check ’em out there! Pioneering dance team rises to the top with win. 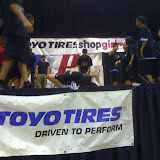 Big up to SDC for the crazy dope showcases this weekend. They really turned that mutha out and earned the right to be called Winnipeg’s Best Dance Crew. Big up SDC creative director Wayne Santos for such an excellent showing and of course, a shout to the entire team: Karen Nacario, Kris Basco, Christine Palileo, Vanessa Dela Rosa, Peter Ruiz, Mark Domingo, Casey Simbulan and Glen Bonifacio. It was a pleasure to be able to watch y’all go buck, trust. We know it’s a good look to have you open for the JABBAWOCKEEZ on Mon, Jul 21 @ Blush Ultraclub! Gotta give it up to the runner-up, DUMMY SQUAD, still. They repped the name tight with dope and entertaining performances and because they were that tight, we have added them to the bill to open for IVANA SANTILLI…an exclusive & rare DJ set on Friday, Aug 1 @ The Academy. Can’t sleep on SYNERGY DANCE PRODUCTION, RanDoM DANCE PRODUCTION and UN1TE DANCE, either, yo. All in all, all five teams are giving Winnipeg straight quality. Look forward to working with everyone! Extra special shouts to QBC and BIG DIFFERENCE CREW for being troopers and submitting the four 2-on-2 teams for the B-Boy/B-Girl category: KRUMP KINGS, TRUE FUSCHNICKS, GIT TA STEPPIN and the winners: KILLAPINO! Finally, a big thanks to Mark Seto and DTP, our sponsors SHOPGIRL and THE MASSES CLOTHING COMPANY (JESSE SANTOS and JASON AU) and to the judges panel: BOOBJESTER (Dangerous Goods Collective), DAMMECIA HALL (Define Movement) and CYRILE ONG (Shopgirl)! …if there are any vids out thurr for Synergy and Sikat, pls fwd them so we can post up, seen! – Final round will be a crew vs. crew elimination to determine the winner. 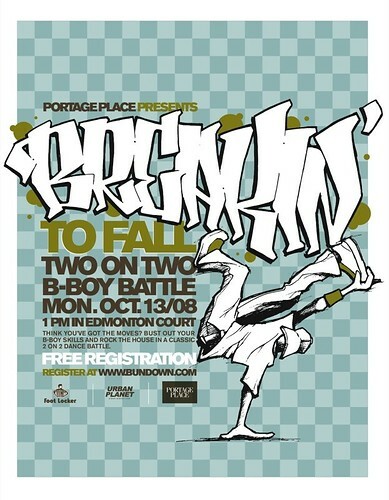 – will consist of a choreographed and freestyle, You Got Served-style head-to-head elimination to determine Winnipeg’s Best Dance Crew. 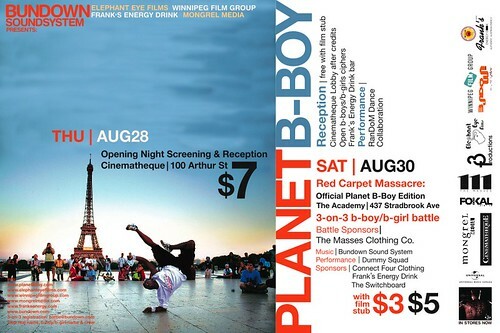 The winner of the Winnipeg’s Best Dance Crew competition will receive cash & schwag and will showcase at Soundwave Entertainment’s JABBAWOCKEEZ show on July 21 @ Blush Ultraclub. The Showcase and Semi-Final rounds will be judged by a specially-selected judges panel, while the Final round will be determined by crowd response. A $20.00 registration fee will be due on the day of the competition. Breakin’ to Spring will be a single round-robin tournament. Each duo will be assigned a number and will be paired off against another duo. This will be done once registration has closed. After the first round, the duo that is assigned the number 1 will be fixed while all the others will rotate clockwise. If there is an odd number of entries, one duo will be given a bye into the tournament. One entry will be automatically entered into the tournament via entries submitted to HOT103FM. How will the tournament be judged? 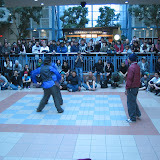 Adjudication will be determined by a three-person panel – chosen for their knowledge of b-boy culture – for the preliminary rounds. The panel will educate the audience on what they are looking for in terms of style, originality and showmanship. With that knowledge, the final rounds will be decided by the audience. Due to time constraints, ties will not be allowed. Prizes – to be provided by Portage Place, Athlete’s World, Urban Planet and HMV – will be announced shortly. To register for Breakin’ to Spring, submit your individual names (including the name of your 2-on-2 duo), contact info, crew affiliations and a hi-res (300 dpi) .jpg of your duo to battle@bundown.com. Entries will be accepted until 12:00 midnight, Friday, March 28.
add me as a friend on facebook (jay boogz), join our facebook group (bundown sound system) & keep an eye on the cdn events section of bboyworld.com. think it’d be great to have you guys out! Hey Im From Kenora Ontario and am part of the FreeStylin Junkies break crew do you guy think you can message me and let me know when you are having yoour next B-boy/ B-girl compation ? We would love to come watch or even be in it.